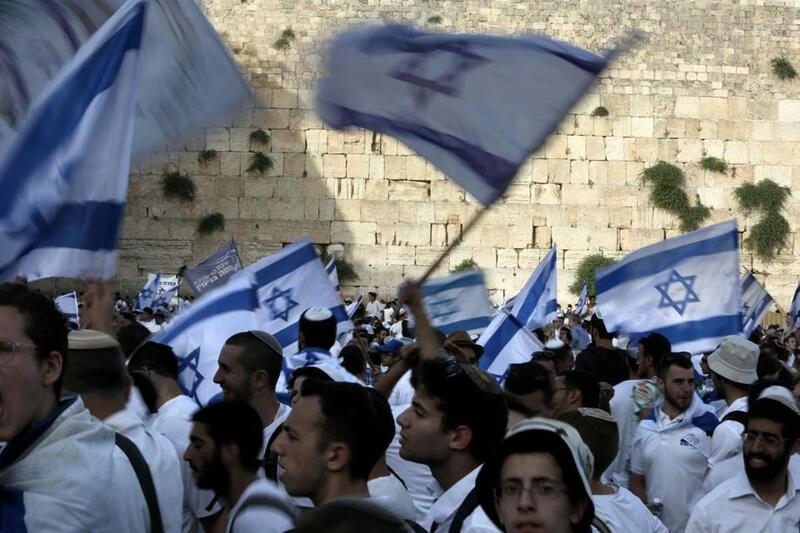 Israelis gathered at the Western Wall in Jerusalem&apos;s old city on June 5 to celebrate the Jerusalem Day, which marks Israel&apos;s 1967 seizure of the Palestinian-dominated eastern half of Jerusalem. AMID THE CONTINUING controversy over the Obama administration’s refusal to veto the Security Council’s resolution regarding Israeli “settlements,” it is important to understand why Israeli leaders across the political spectrum as well as American supporters of Israel — including many who oppose settlement expansion and favor a two-state solution — feel so negatively about this resolution. Its text states that “any changes to the 4 June 1967 lines, including with regard to Jerusalem” have “no legal validity and [constitute] a flagrant violation under international law.” This resolution is not, therefore, limited to settlements in the West Bank. It applies equally to the very heart of Israel. When Israel retook these areas in a defensive war that Jordan started by shelling civilian homes in West Jerusalem, and opened them up as places where Jews could pray, study, receive medical treatment, and live, the United States took the official position that it would not recognize Israel’s legitimate claims to Jewish Jerusalem. 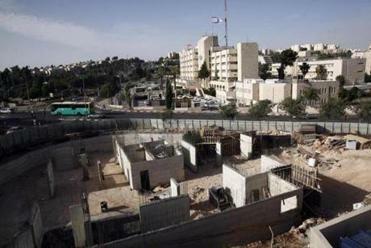 That is why it refused to move the American embassy from Tel Aviv to Jerusalem. It stated that the status of Jerusalem, including these newly liberated areas, would be left open to final negotiations and that the status quo would remain in place. That is the official rationale for why the United States refuses to recognize any part of Jerusalem, including West Jerusalem, as part of Israel. That is why the United States refuses to allow an American citizen born in any part of Jerusalem to put the words “Jerusalem, Israel” on his or her passport as their place of birth. But that has now changed with the adoption of the Security Council Resolution. The UN has now determined that, subject to any further negotiations and agreements, the Jewish areas of Jerusalem recaptured from Jordan in 1967 are not part of Israel. Instead, according to the resolution, they are territories being illegally occupied by Israel, and any building in these areas — including places for prayer at the Western Wall, access roads to Mt. Scopus, and synagogues in the historic Jewish Quarter — “constitutes a flagrant violation under international law.” If that indeed is the status quo, absent “changes . . . agreed by the parties through negotiations,” then what incentives do the Palestinians have to enter negotiations? And if they were to do so, they could use these Jewish areas to extort unreasonable concessions from Israel, for which these now “illegally occupied” areas are sacred and nonnegotiable. Donald Trump warned that the resolution condemning Israeli settlements will complicate peace efforts. This is what President Obama has wrought in his ill-advised refusal to do what American presidents have done for decades: exercise their veto in preventing biased, destructive, and one-sided resolutions from being enacted against Israel by the automatic anti-Israel majority that exists in every institution of the UN. The bad news is that no future president, including President-elect Trump, can undo this pernicious agreement, since a veto not cast can never be retroactively cast. And a resolution once enacted cannot be rescinded unless there is a majority vote against it, with no veto by any of its permanent members, which include Russia and China, who would be sure to veto any attempt to undo this resolution. Obama’s failure to veto this resolution was thus a deliberate ploy to tie the hands of his successors, the consequence of which will be to make it far more difficult for his successors to encourage the Palestinians to accept Israel’s offer to negotiate with no preconditions. Since virtually everyone in the international community acknowledges that any reasonable peace would recognize Israel’s legitimate claims to these and other areas in Jerusalem (and indeed, to settlement blocks in close proximity to Jerusalem), there is no reason for allowing the UN resolution to make criminals out of every Jew or Israeli who sets foot on these historically Jewish areas. Obama’s ill-advised, lame duck, and undemocratic effort to tie his successor’s hands must not be allowed to destroy the prospects for a negotiated peace between Israel and the Palestinians.